SONOS. A whole new take on home theater sound. Today we announced our latest addition to the Sonos Home Sound System. Our all new PLAYBASE is a three year project come to fruition. 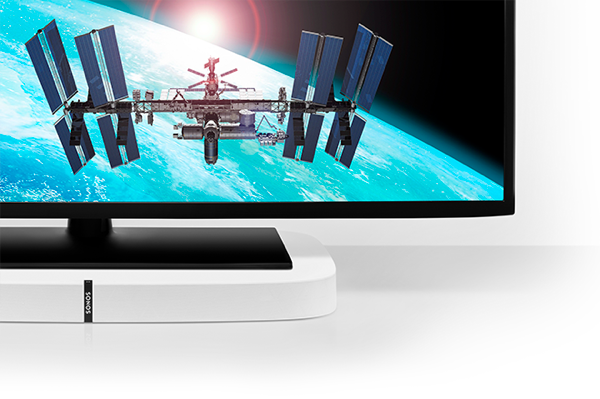 Designed for fit, it’s sleek, low profile practically disappears beneath your TV. Yet it amps up movies, shows, sports and gaming with that rich, full-theater sound customers just can’t miss. And another big bonus–it also streams music when the TV’s off.